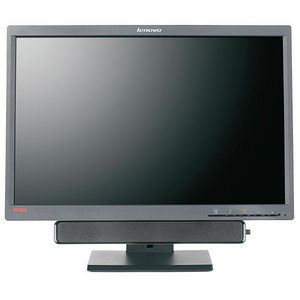 The ThinkVision L2250p Wide delivers the perfect balance between productivity, environmental responsibility, and value. The L2250p Wide is 29% more energy-efficient than the latest ENERGY STAR 5.0 standards. 25% of the total weight of all plastics in the product consist of post-consumer content plastic resins. (1) With arsenic-free glass, the L2250p Wide enables you to be environmentally friendly without compromising performance.